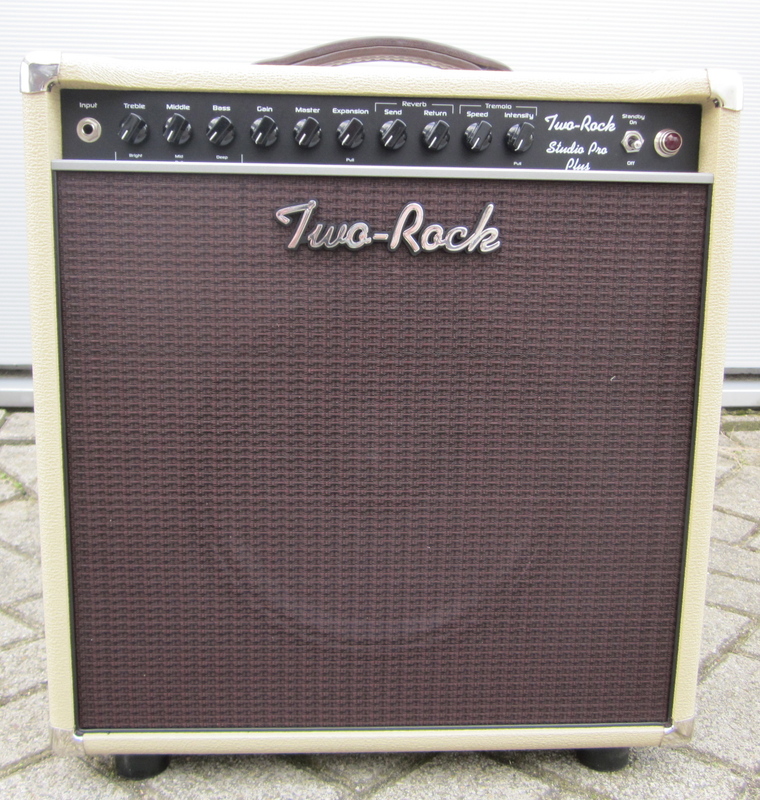 The single-channel Classic Reverb Signature is Two-Rock’s ultimate tone shaping machine. Updated in November of 2016 with Bill Krinard’s new design tactics, this amp is Available as either a 50W (2 x 6L6) or 100W (4 x 6L6) head. 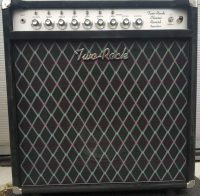 Built on either a black or silver aluminum chassis, this amp has been updated with a new output transformer on the 100 watt models, as well as an added Gain Structure switch for 3 different voicing settings on the input stage. 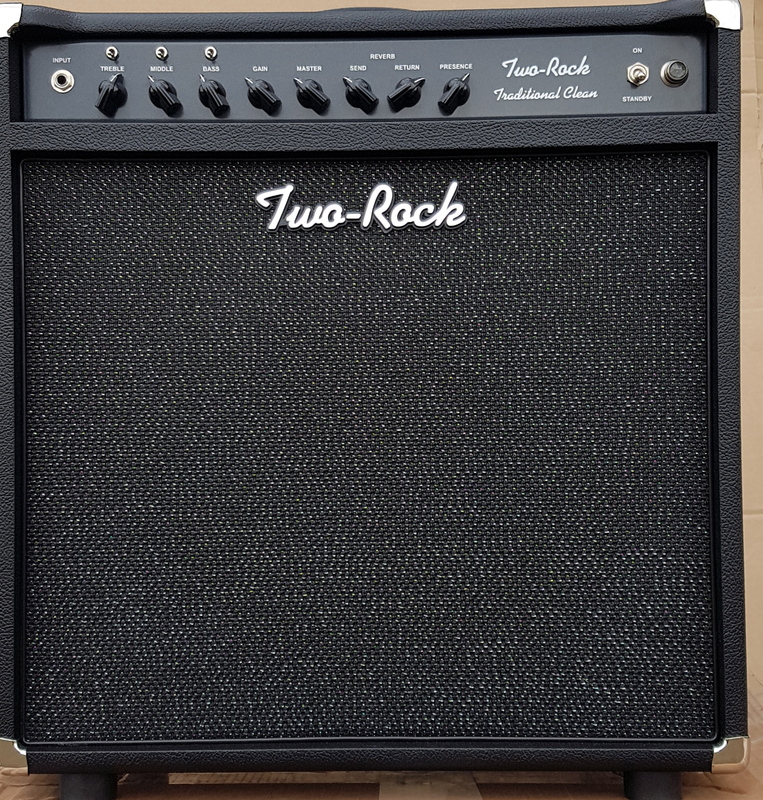 The single-channel Classic Reverb Signature is Two-Rock’s ultimate tone shaping machine. Updated in November of 2016 with Bill Krinard’s new design tactics, this amp is available in 50W (2 x 6L6) or 100W (4 x 6L6) head. Built on either a black or silver aluminum chassis, this amp has been updated with a new output transformer on the 100 watt models, as well as an added Gain Structure switch for 3 different voicing settings on the input stage. Extensive tone shaping is offered via Treble, Middle, Bass, Bright, Mid, Deep and EQ controls. A Contour control facilitates switching between single coils and humbuckers while adjusting for room acoustics, without having to change preamp EQ settings. A footswitchable FET preamp stage, eq BYPASS and REVERB DEFEAT are stock features of this versatile amplifier. Gain Structure: The 3 position gain structure switch changes the sensitivity and overall feel of the preamp. 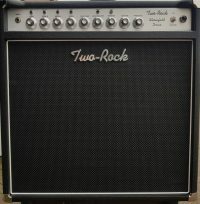 In the down position, the amp feels similar to a vintage blackface, the middle position is much like the Two-Rock Matt Schofield Signature front end with a hotter input stage, and the full up position is our traditional Two-Rock frontend. Power Selector: On 50 Watt Models, the HIGH power mode is fixed-bias and the LOW power is cathode biased. While the Low setting may sound louder, you’ll notice a significant headroom decrease. On 100 watt (4x6L6) models, the HIGH power mode is100 watts, the LOW power mode is 50 watts. With the 100 watt Classic Reverb Signature’s output transformer, when switching from 100 to 50 watts, the transformer will compensate for impedance differences so you will not have to change impedances.